You are here: Home / cord of wood / How Much is a Cord of Wood? — & More Firewood Facts. Not the ideal way to carry firewood. Let’s face it, a large majority of homeowners have a need for firewood, and whether you split it yourself or you buy it from a local retailer it’s good to know what you’re talking about so you don’t get ripped off. This article will give you the information you need to help you understand the ins and outs of firewood. Whether you want to use it for romantic evenings by the fireplace or to keep you warm in the Winter; I promise that you’ll learn something. Knowing the facts is the best defense against people trying to rip you off and choosing the right firewood. Larchmont Nurseries in Westchester County, New York. Countless homeowners around the world use firewood all year round to heat their homes. The cost of firewood fluctuates from year to year and there are many factors that influence the cost of a cord of wood. Firewood isn’t like an Apple iPhone. There’s no fixed cost. The quality and type of wood varies from state to state. Every state (and country) has varying market conditions and their own species of wood that’s grown in the region. Firewood is a commodity that fluctuates with the market in the same way that oil fluctuates in value on a daily basis. Having said that, we’ll give you some guidelines to follow and the information you need to make an informed buying decision. This article sets out to answer the most common questions asked by homeowners as it relates to firewood. ✓ Fact: Firewood uses “cord” as the unit of measurement and its origin can be dated back to around 1610 when wood was sold in bundles and tied with a cord, literally. Obviously back then there was a limit to the size that a person could carry so a cord back then was much smaller than a cord is today. Hardwood is more expensive than softwood. Before we get into the actual cost of a cord of wood, let me start at the beginning: What is a cord of wood? A full cord of wood assumes that the wood is arranged in a way that all the individual pieces are stacked (aligned, parallel, touching and compact) and fit within the following dimensions: 4 feet high x 4 feet wide x 8 feet long. A cord of wood occupies a volume equivalent to: 128 cubic feet (3.62 m3). So, to answer the common question : How many square feet in a cord of wood? The answer is 128 sq.ft. The actual wood volume is closer to 90 cubic feet due to all the air in between the firewood. How much wood is in a 1/2 cord? A 1/2 cord is 4′ x 4′ x 4′ which is equivalent to 64 cubic feet. A full cord of wood can weigh between 2,500 lbs (softwood) to 5,000 lbs (hardwood). A standard piece of firewood is 16 inches (1/3 of a cord width). A small pick-up truck can hold approximately 1/4 cord of wood. A 1/2 ton short bed pick-up can hold approximately 1/2 cord of wood. A long bed pick-up truck with racks can hold approximately 1 cord of wood. Be careful when a wood seller refers to their lot of wood as either a “rack,” “truckload,” “stove cord,” or a “face cord.” These terms have no legal definition, so they’re meaningless. All you need to know is the overall volume of wood. The Width x Height x Length should equal 128 cubic feet. When buying a cord of wood be sure to ask what the overall cubic footage is because a lot of sellers will use their own lingo with their own definitions. Ask about the overall volume. Don’t assume anything. If the seller is trying to deceive you in any way, just walk away and find a reputable seller. Many sellers online use the term “face cord” to refer to 1/3 of a cord. So, a triple (3x) face cord would equal one full cord of wood. Make sure you clarify how they define “face cord” before you buy. the National Institute of Standards and Technology has an official document that explains what a “cord” is. You can read or download the official US Government document, entitled: Specifications, Tolerances, and Other Technical Requirement for Weighing and Measuring Devices. You’ll find the information of page 115/116. You can also buy fractional cords, such 1/4 cord, 1/2 cord, 3/4 cord or even as small as 1/8th a cord. Measurement Canada recommends that the use of the cord as a unit of measurement be discontinued, as it is largely misunderstood and often misused by people selling firewood. When buying packaged wood or small bundles of firewood the size parameters changes from cord to cubic foot or a fraction of a cubic foot. When buying firelogs, such as Duraflame, the measurement is in pounds. 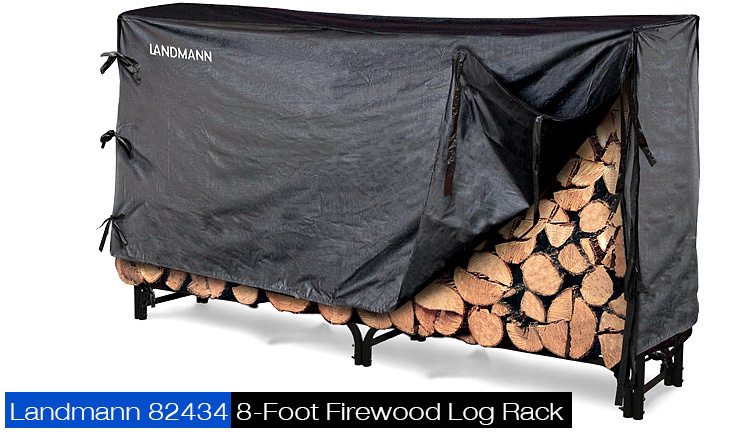 As in a “7 lb log.” I’ll give you more details on packaged firelogs later in this article. Stacked pine logs in the forest. You want to buy firewood for your home but you don’t want to get burned by paying too much (pun intended). Honestly, how much should you pay for a cord of wood? What’s a reasonable price? Type of wood (hardwood is more expensive than softwood). Where you live. Colder regions are more expensive due to supply & demand. You’ll notice there can be additional costs when buying a cord of wood. There’s the initial price that you would pay if you picked it up yourself, but since most people don’t have a vehicle that can carry a full cord of wood they’ll likely have to get it delivered — unless their Uncle owns a large truck. Delivery is obviously another fee that will depend on how close you live to the seller. Most reputable sellers won’t charge you if you live within a certain radius — and the final cost will be whether you want it “stacked” or “dumped” when they deliver it to your home. Stacked means they will neatly stack it. If not, they’ll just toss it on your property and it’s up to you to stack it. The choice is yours as to whether or not you want to spend the time to stack it but if you want to save some money then you have the option to do it yourself. But, be warned because you won’t know if you’ve received a cord of wood until you’ve stacked it. Which means the seller will be long gone once you’re done arranging it yourself — along with your money. I recommend paying to get it stacked to avoid getting ripped off. But, if you already know the seller and trust him (or her) then why not save money and stack it yourself. It won’t take you too long to neatly organize it. Just make sure it’s dumped near where you want to ultimately store it because it will be time consuming if you have to relocate the wood to another part of your yard, so plan ahead. If you want to get a good idea of the price of wood in your area then Google “stumpage price report” + the area you live (Washington, Indiana, etc.). This will give you a good idea of the cost of harvesting wood in your area. 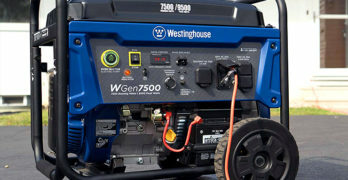 It’s just another tool to help you determine a reasonable price depending on the time of year. Unfortunately, this data is continually changing so there are no hard prices for you to follow. For example, here’s a report for New York State (Summer 2018): Stumpage Price Report. This document is updated for every season. Learn more on the New York State site. The Stumpage Price Report is published semi-annually and reports the prices paid for standing timber during the previous six months. Why talk about the weather? Well, if it’s a warm winter then you might not need much firewood. So far, it looks like, on average, it might be a warmer winter than usual. Some facts below. North-central U.S. is expected to see a rather cold October. Southeast and Southwest can expect a warm October. Much of the Lower 48 should experience a mild November and December. Exceptions may be parts of the South, in November and December it’s forecast to be colder than average. There is a 60% chance that El Niño conditions will develop in September and December, and over a 70% chance they will develop by winter (November through February). Don’t wait until winter to stock up on firewood. Buy as early as possible — basically buy firewood today because prices will go up as the supply decreases. Far too many people wait until it gets cold before spending the money to buy firewood. Big mistake. You’ll pay more — and there’s a risk that you won’t find any when you need it. Yes, firewood does sell out. You don’t want to be desperate when it’s freezing cold outside, scrambling around looking for firewood. Chance of temperatures in the Northeast being above average is about 40 to 50 percent. Alaska also has a large portion of the state where the chances of temperatures being above average are more than 50 percent. Mid-Atlantic, some areas like New Jersey have a 30 percent chance of temperatures being above normal while some have an equal chance of the temperatures being above or below average. From about New Mexico westward, the entire country will likely see temperatures above average this winter. Yes, the upcoming weather forecast makes an impact on firewood. Although, predictions are often wrong, you want to be prepared when those winter storms hit your city or for those long cold spells. When the power goes out you want to have the peace of mind of a big supply of firewood to pull you through and keep you warm. The cost of firewood increases as winter progresses because the stock of firewood dwindles down and if there happens to be an extreme weather event then everyone rushes to buy, which only drives up prices even further. It’s wise to stock up. My advice to you is that if you haven’t purchased your firewood yet then do so right now. You can’t go back in time but start making calls to your local firewood dealers and ask the right questions — which you’ll know once you’ve read this entire article. Please don’t wait, you will regret it. Many factors determine the price of firewood. How much is a cord of wood? I’d like to share with you some average fees for buying a cord of wood but bear in mind that there are many factors that influence the price, with the biggest factors being the species of wood and market conditions. I do recommend having the wood stacked. Why? Well, if you don’t then how do you know how much wood they’ve delivered. Have them stack it, then measure it. Make sure you get what you were promised. Here are some reasonable price guidelines for a cord of wood through a reputable seller. You can likely find it cheaper through someone on Craigslist but that’s a riskier way to go. Prices will vary wildly as it depends on the type of wood and where you live. Also, you’ll notice a lot of firewood sellers have ‘mixed cords,’ which are typically cheaper than one full cord of one tree species. Nothing beats the warmth and heat of a fire. Hardwoods are more expensive but they also contain more energy (BTUs) and thus burn longer and hotter. A quality hardwood will also produce less smoke which is an important factor to consider. Here are some good choices for wood species when choosing firewood. Hardwoods: Almond, alder, black/white ash, red/white oak, beech, hickory, maple, pecan, dogwood, apple, eucalyptus, maple, mulberry, walnut, birch, pecan, soft maple cherry, birch. Softwoods are ideal if you want a fire that heats up quickly and burns out fast. Softwood produces medium heat and produce more smoke and sparks than a hardwood. You’ll also have to feed the fire on a more frequent basis when using a softwood. Softwoods: Spruce, larch, juniper, spruce, southern yellow pine, red cedar, fir, pine, balsam, tamarack. Softwoods come from gymnosperms trees, specifically conifers. Softwoods have needles instead of leaves. Softwoods are unique — they don’t lose their needles. Softwoods grow faster than hardwoods and therefore less expensive to buy. Often used as building material. Softwood trees grow tall and straight; making them appropriate for manufacturing. Ideal to cut long straight planks of wood from. To learn more about the various species of wood view: Firewood Ratings – based on data from U.S. Forest Products Laboratory. Wikipedia has a good list of specific tree species organized by wood density (hard vs soft). It’s a great reference. How much firewood do you need for Winter? Below are some rough guidelines to help you determine how much firewood you need for one Winter. You have to take into account a few variables, such as: size of your home, quality of insulation, type of wood stove, and the average climate where you live. If your main source of heating is firewood, expect to use at least 5 cords of wood. If you live in a cold part of the world expect to burn closer to 8 cords of wood. If you balance your home heating with firewood heating then expect to use about 2.5 cords of wood — 4 cords of wood if you live in a cold climate. For occasional firewood usage (primarily on weekends) then expect about 1/2 a cord. Get a permit and cut your own firewood from a forest near you. You can legally cut your own firewood by obtaining a woodcutting permit for the area where you live. You can only do so in designated areas. There’s a small fee but if you’re comfortable with a chainsaw and an axe then this is a great way to save money and immerse yourself in the great outdoors. For example, in Astoria, Oregon a permit will cost you $20 and you can cut 2 cords of wood. That’s a fantastic deal. Sure, it’ll be a lot of work, but if you need a lot of firewood it’s a great way to go. The quickest way to find out if there’s a forest nearby that allows you to cut your own firewood is through the US Forest Service. All you have to do is select your state and a specific forest on the US Forest Service homepage, which will take you to the main page for that particular forest. From there, select “Passes & Permits” on the left side of the page, then select “Forest Products Permits.” Each forest has their own permit requirements and availability. Felling your own trees? Read: How to estimate the volume of standing trees. Sometimes it can be tricky navigating the internet to find a quality firewood seller so the best place to begin is with your friends and family. Ask them if they have a recommendation for a reputable firewood seller that they have used. If not, Google is your best friend. I recommend just typing in your location plus the term “firewood.” It’s pretty basic but it does work. Another good place to search that you probably haven’t considered is the Better Business Bureau (BBB). Just type in “firewood” for you area and all the businesses associated with firewood will be listed. The advantage of this that you can see the reputation of the company. Craigslist is another popular option but it’s riskier if you don’t know what you’re buying. I’d recommend this as your last option, unless you’re well versed in firewood. An effective way to search is using Search Tempest, which allows you search a wider region of Craigslist listings. Buy from a reputable seller. Check the Better Business Bureau. Have the wood stacked so you know what you paid for. Buy hardwood. Ask about the type of wood you’re buying. Ask the seller the overall volume of wood. Naturally seasoned wood is preferred over kiln-dried (less than 20% moisture). Never burn wood below 15% moisture content. This is a fire hazard. Use a moisture meter so you know what you’re buying. Buy firewood consistently cut. It’s easier to handle and indicates a quality seller. The USDA (United States Department of Agriculture) has some strict guidelines when it comes to the movement of firewood that you should be aware of if you have any plans to transport your firewood any reasonable distance from where you bought it. All the information you need can be found on the USDA website, so please do some research if you plan on moving your firewood. Buy a quality firewood rack. Split wood before you stack it. Wood dries quicker when it’s stacked in a criss-cross configuration. Air flow is essential for seasoning wood. The longer you store it the drier it will be and the better it will burn. Keep firewood 6″ off the ground. Place a cover over your firewood. ShelterLogic offers a wide range of firewood storage racks, depending on how much firewood you need to store. Eliminating bugs, mold growth and wood rot by elevating wood from ground. Name, address and phone number of seller (company). If the seller is hesitant to provide any of these details then don’t do business with them. In fact, before the delivery, tell them that you want these details in an invoice first. The last thing you want is to have the firewood delivered to your home (after you’ve already paid) only to discover that they won’t provide you with these details. When buying firewood you want to make sure that it’s “seasoned firewood,” which means that it’s been left to dry for at least six months, preferably up to a year. Seasoned firewood is wood that’s had a chance to dry over time and has a moisture content of under 20%. 30% to 50% of the potential energy is wasted. Increased creosote that sticks to your chimney. One of the most popular firewood moisture meters. A useful tool to own is a wood moisture meter so you can verify the moisture in the wood before you spend your money on a cord of firewood or, if you split your own firewood you’ll know when it’s ripe for burning. The ideal amount of moisture is 20% and under. The only way to know for certain is by using a wood moisture meter. The General Tools & Instruments (MMD4E) is a good wood moisture meter at a very affordable price. You can spend more money and get a fancy model such as the General Tools & Instruments (MM70D). It has more features but it’s overkill unless you’re a professional. No need to spend more money than you have to. The Lignomat Moisture Meter (Mini-Ligno E/D) is an excellent mid-level product that I recommend if you want consistently reliable results. It’s not too expensive nor is it cheap but a good choice if you happen to require the use of a wood meter on a regular basis. It’s well-constructed, very easy to use and accurate. To learn more, read our in-depth buying guide on firewood moisture meters. Before you start burning firewood make sure to clean your chimney. It’s easy, all you have to do is burn a creosote remover in your fireplace. Or, you can use a do-it-yourself mechanical tool like the Gardus SootEater. Or, you can hire a professional. Either way, clean your fireplace for your own safety. You don’t want to be a statistic. Chimney fires cause hundreds of deaths and millions of dollars in lost property every year in the United States. But they can be easily prevented, say University of Georgia experts. The key is to keep the fireplace free of cresote build-up. Creosote is a flammable, sticky substance caused by unburned gases that condense on the inside of the chimney. Mother News has a great article with lots of useful information: Testing Creosote Removing Devices. I don’t know how you typically move your firewood around but if you appreciate convenience then you’ll appreciate a firewood carrier. The one highlighted above is from Veranda and it’s designed to fit logs up to 25″ long. There are many different models available but not all of them have a shoulder strap like this one, which I thought was a nice option to have. A firewood cart is a step up from a firewood carrier and offers another level of convenience. What you need (if any) really depends of the amount of volume of firewood that you need to move around your home. There’s no need to use an axe anymore for back-breaking log-splitting work. If you only have a few logs to split then fine, stick with an axe but if you consistently have the need to split log throughout the winter year after year then I highly recommend investing in a small electric log splitter. It will be one of the smartest investments you’ll ever make, and they’re actually not too expensive. Seasoned: Wood that has a moisture content below 20%. It can be dried naturally or kiln-dried. Seasoned wood is wood that’s ready to burn, which means its moisture content is under 20%. Green: Recently cut wood. High moisture content. Needs to be dried before burning. Kiln-Dried: A system that speeds up the drying process by introducing direct or in-direct heat. Debarked: Wood that has had the bark removed. Compressed Firelog: A manufactured log primarily made from compressed sawdust combined with a variety of additives, such as paraffin. A newer type of log has been introduced in the market which is made from waste fiber from oil palm fruit bunches. Not all wood is created equal. Firewood heat output is measured in “British Thermal Units” or BTUs. One BTU is the amount of heat needed to raise the temperature of one pound of water one degree Fahrenheit. Tree species with dense wood provide the best firewood, releasing more BTUs per volume of wood than species with less dense or lighter-weight wood. Eastern hardwoods, such as hickory and oak, are almost as good as coal in terms of heat value. Every species of wood produces has its own unique ‘heat value’ based on the density of the wood. The denser the wood the hotter and longer it will burn. Hardwood has less resin than softwood. Softwoods burn fast and are less dense than hardwood. Also, you have to factor in the degree of seasoning. All firewood is not equal. Below are some examples of wood heat values. Basically, the type of wood you buy will determine the quality of fire, the length of time the wood will last and the overall heat it gives off. We hope you now know the answers to that question, and many other facts as well. We started this article with the basic question: How much is a cord of wood? Along the way we’ve tried to give you a broader picture of what to consider when purchasing firewood. We hope you found this article helpful. We’ll continue to update this page with information as time goes on so keep checking back. If you have any other questions or want to make other suggestions then please contact us and let us know. We love hearing from our readers. ✓How to Stack Firewood : Read our article with plenty of videos to show you the best way to stack your firewood. Proper seasoning of firewood is extremely important to the quality of fire. Pound for pound, dry firewood has a higher heat value, among other properties, such as: is easier to ignite and maintain, less prone to throw dangerous sparks, and is far less likely to create creosote in your chimney. Green wood should be dried for approximately one year before burning, depending on where you live. The majority of drying will take place during late spring, summer, and early fall. Learn more by reading : Firewood! Everything you wanted to know about firewood.